In the Internet world flooded with website builders it seems impossible to find one which gives you total freedom with respect to both functionality and style. IM Creator promises to give openness to such functionality. Read to find out how it proves itself to be the best among the rest. Many professional developers still look towards WYSIWYG website builders with a bit of atrocity as a huge number of these lay strict controls on your design freedom and results in some monstrous code. No matter how much website builders get rejected by coders but it is still liked by newbies and the market is growing at a really fast pace. 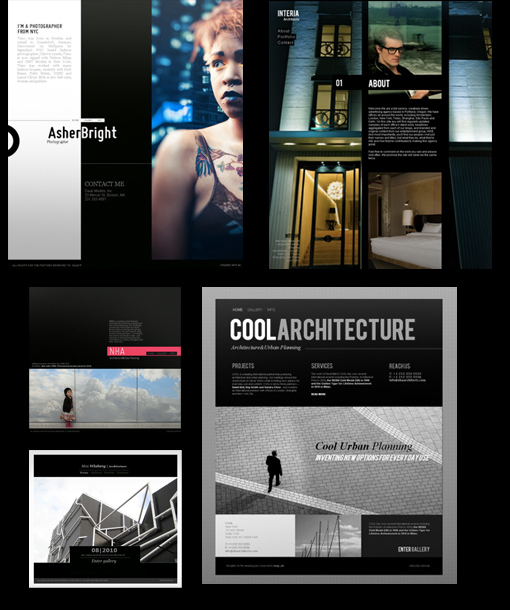 Each new website builder proves itself to be better than the last one. The exponential graph of website builders’ popularity and functionality in long term will make professional builders appreciate them. The latest online tool for creating websites these days is IM Creator. 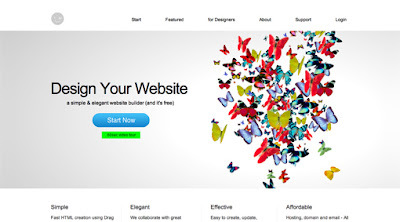 You can build your own beautiful website without typing a single line of code absolutely free! Free claims are for this site are not fake as presented by others moreover it is truly free to sign up and start building sites. The sign up delays until something is saved so that you can get directly into the site builder. The interface is absolutely simple. It is quite bare and approachable. There are innumerable things you can do and it is skillfully designed for ease of use. To add a picture, title, paragraph, video, gallery, slideshow, etc. 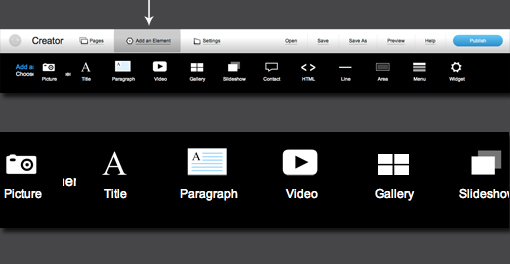 click the “Add an Element” button at the top, which magnifies into a ribbon and you can find several options to add things of your choice. You can easily make pictures act as button or and internal/external link, title alt text etc. can also be added. By going to the advance options, you can play with your picture, its radius, exposure etc. The picture can be replaced by clicking “Replace” button, which shows one more great side of IM Creator, its fastness, the picture loads so swiftly and we can go on exploring it very quickly and smoothly. Adding text is really pretty to look at, the placeholder content is amazing. The paragraph and header are already fairly nicely styled. 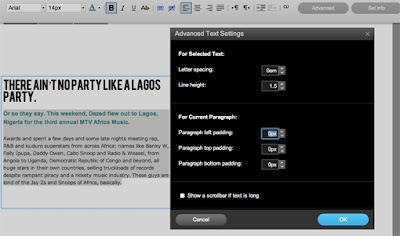 By clicking on “Edit Paragraph” you will find all basic options like line-height control ,setting the font family, size, color, etc. as well as some advanced options. 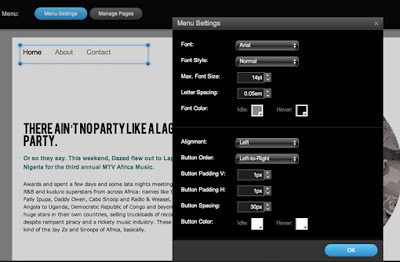 Clicking on the menu settings you will find a number of controls to set the background color, text and text hover color, adjust the letter spacing , exclude the items of dislike and several other features you might thing of applying in your website. IM Creator has some of the best built-in templates you might ever come across; it has done complete justice to this service. The templates are really modern and go perfectly with what professional templates are, unlike the archaic templates which some of website builders’ offer. 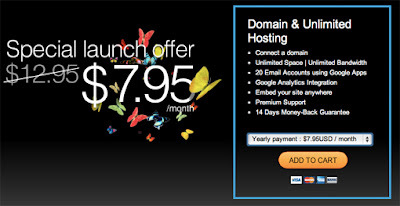 The website offers you free designing, and you have to buy hosting and custom domain for a price of $7.95/month (just short of $100 per year). Spending $100 is an attractive deal when you are getting a beautiful website hosted at domain of your choice for a complete year. IM Creator is mostly targeted to newbies or in small businesses like photography or restaurant. 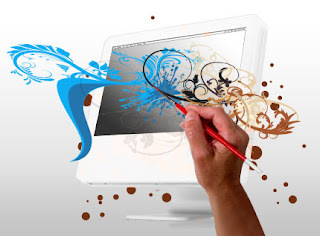 It has a fair price and a great ability to build a website from scratch with freedom to design and the templates which would actually stand strong against any competitor of IM Creator. IM Creator might be considered as a glimpse of future where even professionals would like to choose website builders over coding.